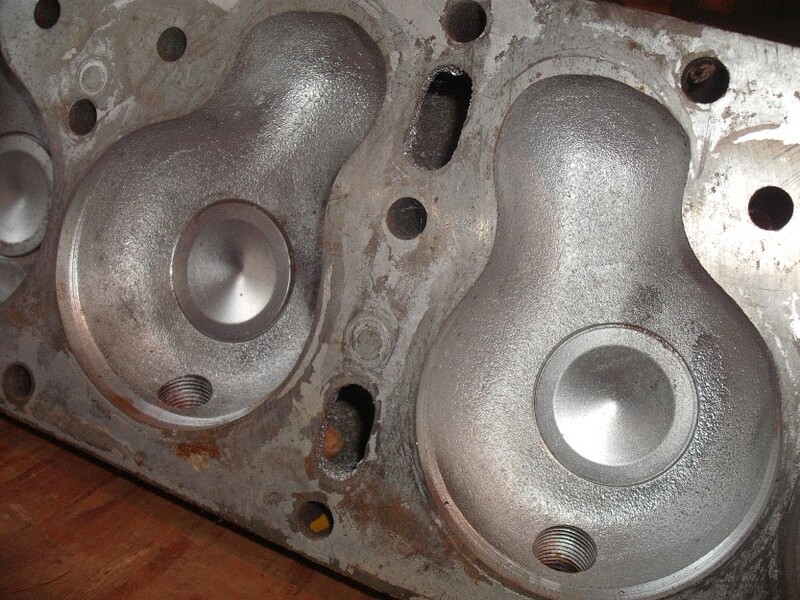 Im starting to do the final fitting of the Rajo 4 valve head to my block. I noticed something that has me confused. (more than usual). The water jacket holes in the center of the block, do not match the holes in the head. On the stock heads I have looked at there are two holes in the center as well as a little "steam hole". The block does not have a corresponding hole in the area above the inlet. 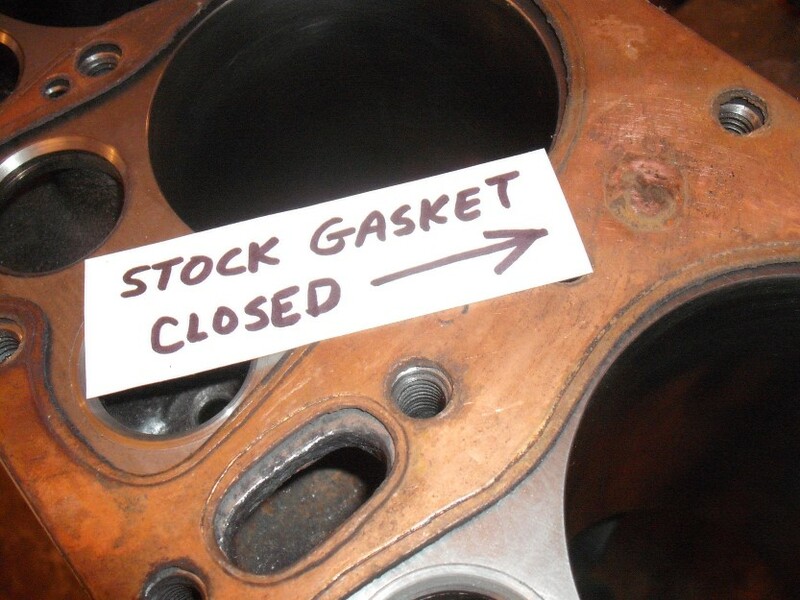 The stock head gaskets also do not have a hole in that area. My Rajo 4 valve head gasket has holes at both locations as well as the head itself having two holes. But my Rajo 4 valve head does not have any "steam holes" in the head. My 4 valve head gasket does have the "steam holes" in it. I plan on drilling the "steam holes" in my Rajo head, but Im confused about the lack of a hole in the block above the inlet. I have a suspicion that the hole was never put into the block to aid in the return of the water coming back into the engine thru the inlet ?? If that hole was opened up, the water would have a more "direct" route back to the radiator and maybe not cool as well. Any thoughts out there as to why the hole was not opened up. I will be interested in hearing what the zoomie guys say...I have never seen an engine with that opened up. I am with Scott, No clue here. I can tell you one thing, my original 4 valve Rajo has all the steam holes drilled. Frank, This is one of the Australian cast iron repros. The steam holes will be an easy item to fix. Other than the steam holes missing, I have found no other issues with the head. The casting appears to be good and all the head bolt holes line up well. The head gasket matches up well with all the other holes. There is some very minor casting flash, that I will clean up just for appearance. I have heard horror stories about the repro 4 valve heads. But this one appears to be very useable. 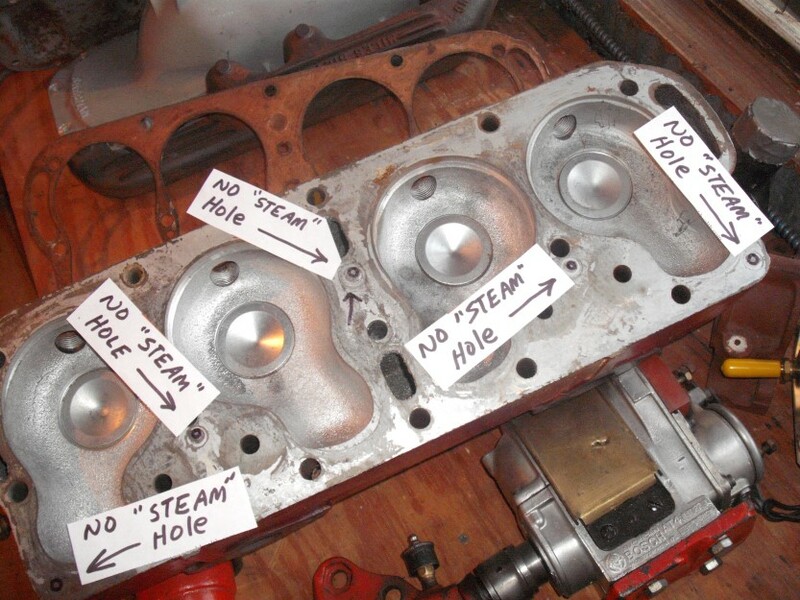 I think most all of the problems encountered with the repro 4 valve heads was on the aluminum heads. The cast iron repro heads are not very common. most were made in aluminum. My main question here is "why did Ford not open up the hole above the inlet in the block, when the original heads "do have both holes open". I would guess it is all about the core/casting process, and then, whether or not a cooling flow was desired in any given area. Look where the hole is a through hole...right between the two exhaust ports. I have never done it, but suspect with the separation of cyl 2 and 3, and the additional metal there, if one were to have no coolant, and put a thermocouple between those cylinders, it would be much cooler than between the exhaust ports. You want the engine to run at a controlled, elevated temperature. I think we don't give the old boys enough credit sometimes. Myself, I'm occasionally curious about things but am very slow to modify what the original engineers came up with. FWIW. 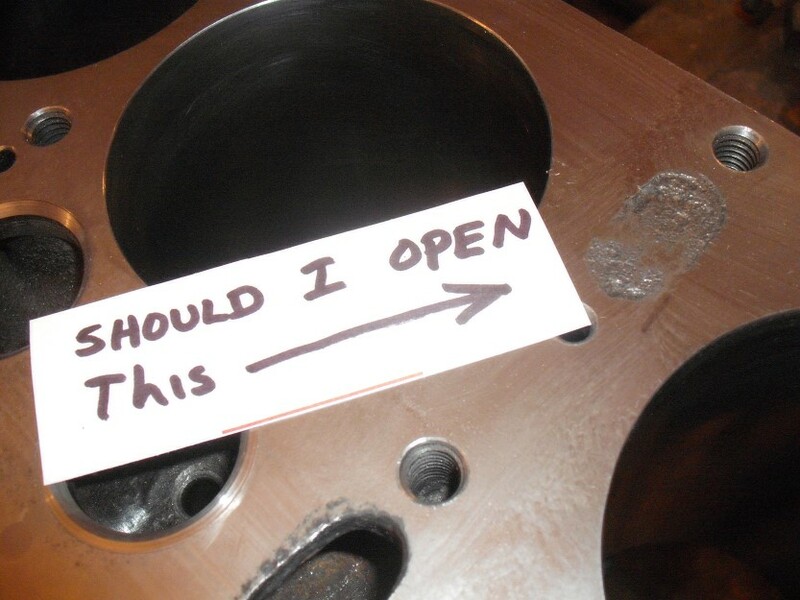 I was just going to say the Australian ones were all aluminum, but see you state it�s an iron Aussie....... With the corrosion showing on that deleted opening, sure looks like some serious age. What makes you think it�s not original? 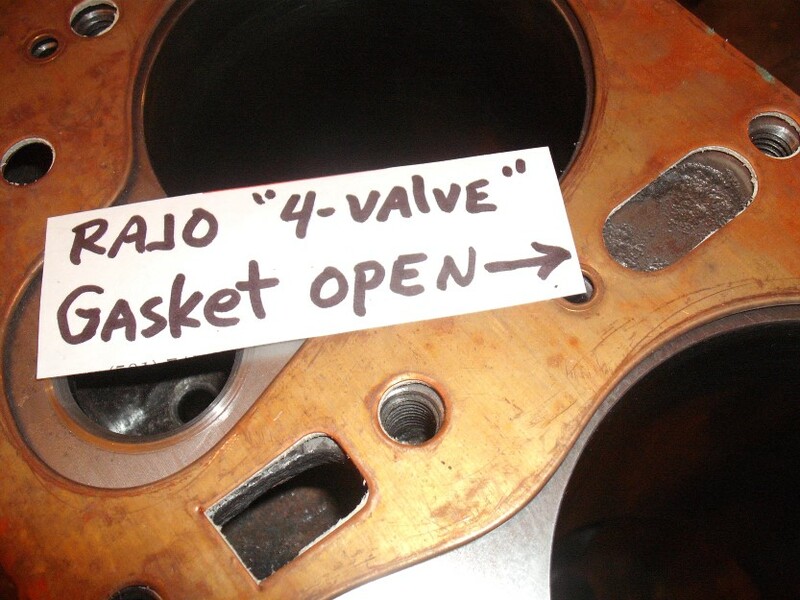 I had a Rajo 4 valve original and they were a fairly crude assembly. Tim, The corrosion is on the engine block. I have never seen that area open on the blocks. But, that area is open on the original heads. As Scott states it is probably a combination of casting/core process and also to help with water flow for cooling. ???? Im not going to open it up, but I will add the "steam holes" to my Rajo head.